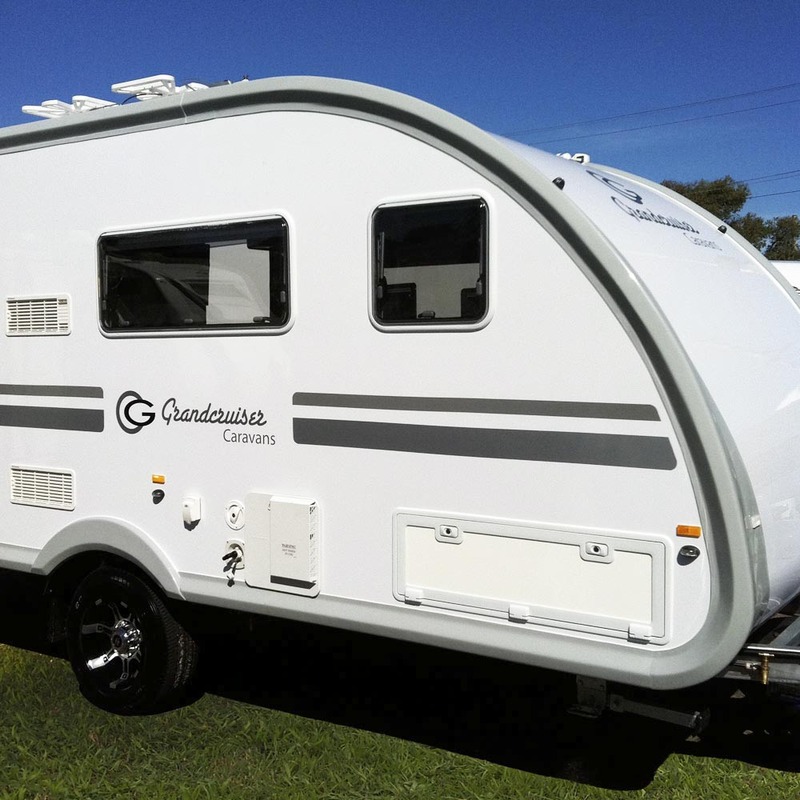 The new Grandcruiser 1550 is constructed with strong, smooth fibreglass foam sandwich panels providing an aerodynamic, modern appearance and creating one of the toughest, safest and best insulated caravans in Australia. Designed with a new shape and layout the 1550 combines innovation with style. The 1550 is built on a 5 inch galvanised chassis and has mag wheels on 12 inch electric brake drums with 1900kg rated suspension. It comes complete with an easy to open roll up awning and double glazed insulated windows with integrated blinds and insect screens. An Aircommand air conditioner is also included. 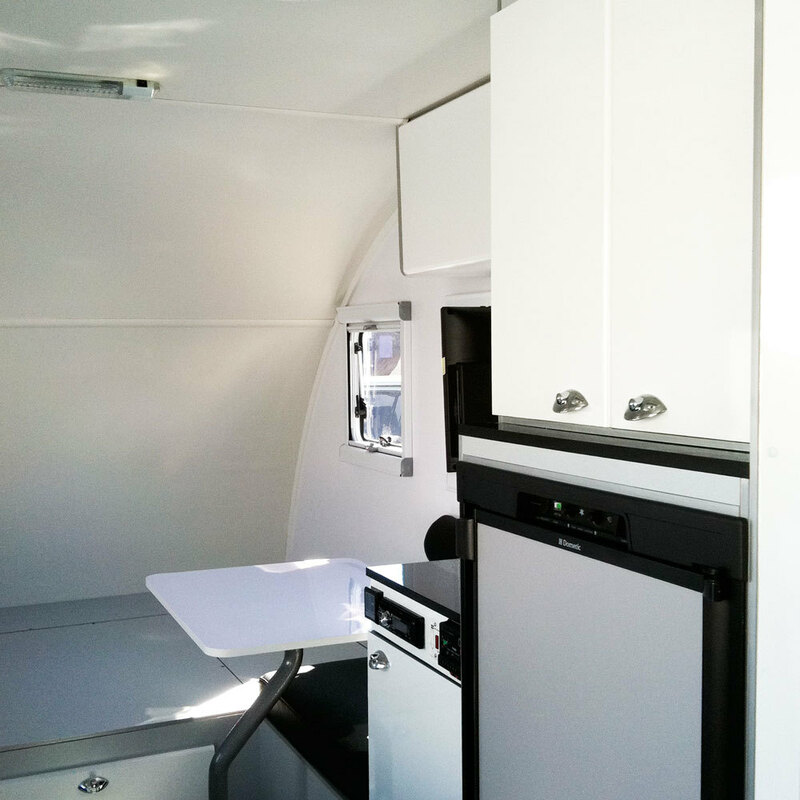 Created to be compact and lightweight, the 1550 caravan is designed with great use of interior space, allowing the inclusion of a shower and toilet. 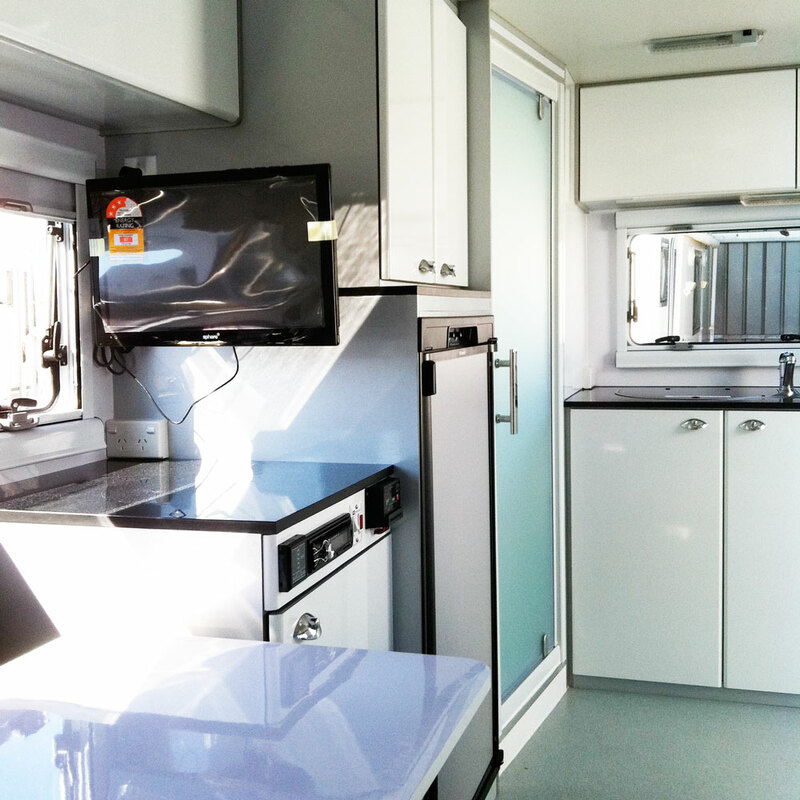 There is also a three burner gas cook top with stainless steel sink, 150 litre 3-way refrigerator, electric/gas hot water service, TV, solar panel and LED lighting. Thank you for your email, we will be in touch with you shortly! 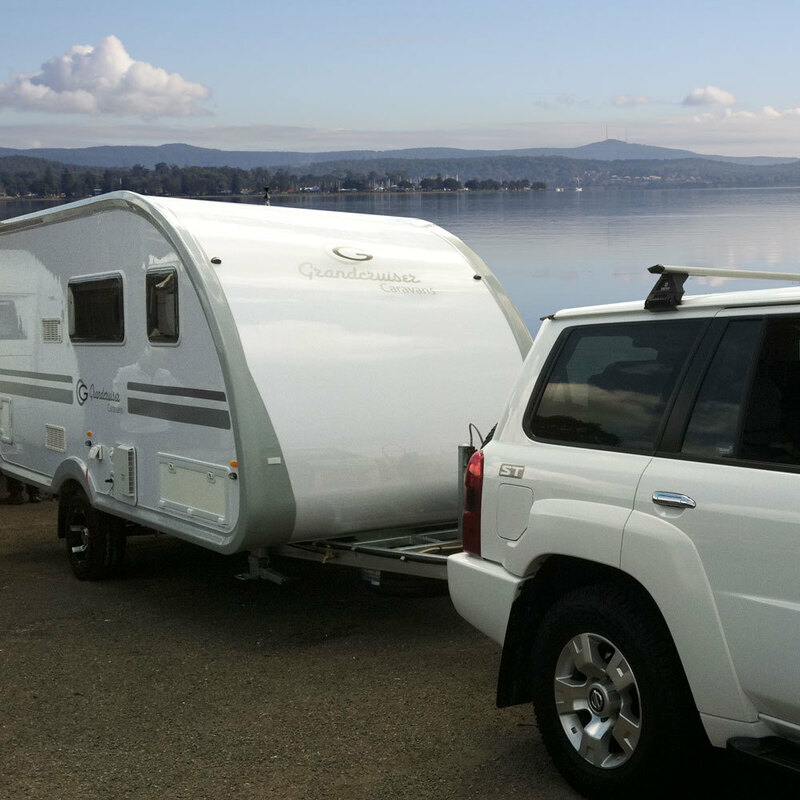 Caravan & Camping Industry Association of NSW.